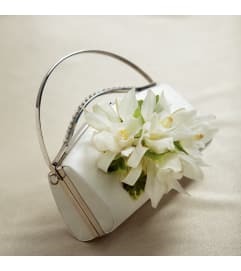 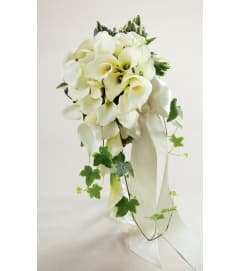 The FTD® Free Spirit™ Bouquet is the perfect bouquet for a fall wedding, but is a stunning piece at any time of the year. 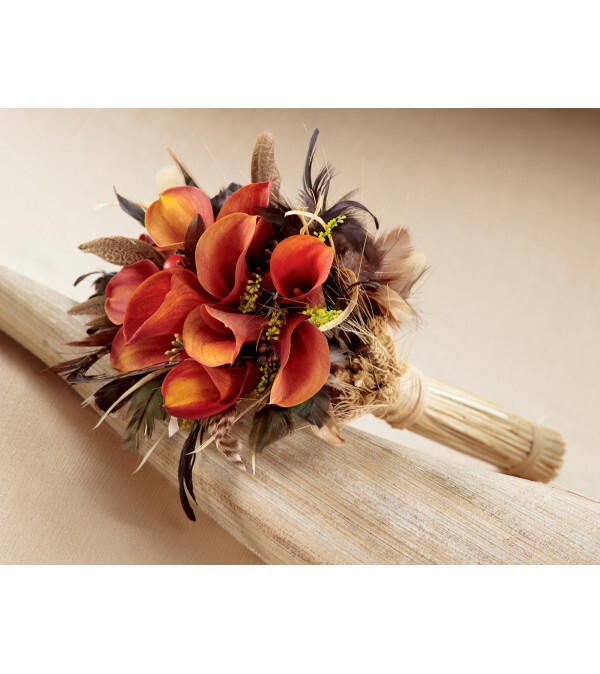 Mango mini calla lilies are accented with red hypericum berries , solidago, and seeded eucalyptus and surrounded by feather picks and dried wheat stems. 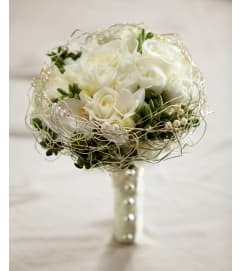 Wrapped in a raffia strands at the stems, this bouquet is a gorgeous departure from your everyday wedding bouquet.